Surely everybody remembers the cartoon hero Popeye; a sailor who always fights against problems and when he is about to lose from his enemy, the bearded sea-dog Bluto, opens a tin of spinach and becomes super strong. He finally wins thanks to his special herb. Did Popeye and his girlfriend Oliva get their strength from spinach? Or was it something else? 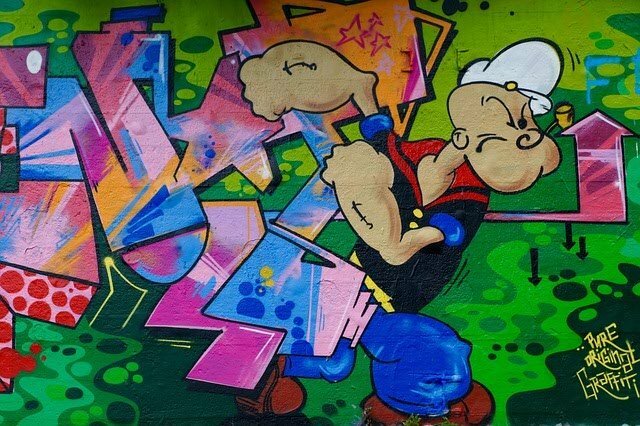 When Popeye was created in 1929 by Elzie Segar, spinach was slang for marijuana. Maybe you remember the song played by the jazz band Julia Lee and Her Boyfriends, “The Spinach Song (I Didn’t Like It The First Time)”. She also created another hit named “Lotus Blossom (Sweet Marijuana)”. They used to play in jazz clubs in Kansas City; places where smoke of cannabis looked like a cloud surrounding the whole place. Among jazz lovers the word spinach meant marijuana. 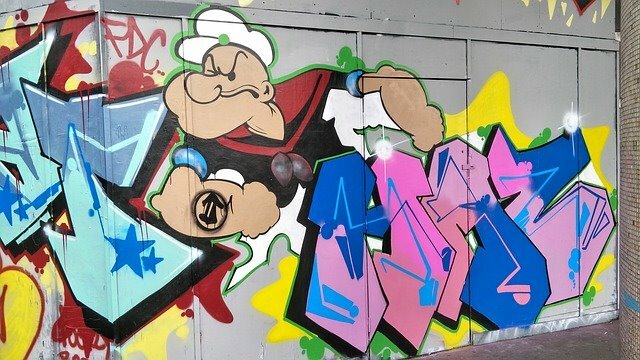 In addition, Popeye used a pipe to eat spinach! Have ever heard of someone who smokes spinach? Being a sailor, Popeye knew exotic herbs and, in addition, American sailors were the first to try marijuana in the US. Moreover, Popeye owned a dog named Birdseed, and in those days, hemp seeds were used to feed the birds. During many years, people speculated about the real content in his pipe. But when you look at the clip from the cartoon “Rodeo Romeo”, you realize that Popeye cannot handle his pipe. Was he too stoned? Trying to confuse the senses of Popeye, Bluto replaced the spinach with “locoweed”, the word used for Mexican marijuana at that time. After consuming a can of “locoweed”, he enters a state of faintness and psychedelia in which his brain blows up, and at the end he walks through the air. Believing the bull was a pretty girl, Popeye begins to dance with the animal while whispering sweet things in its ear. Was he too high? Even though it is not seen in the clip, the film continues with Popeye having Bluto get high with his own supply. We cannot say Popeye was advocating for cannabis use. But he seemed much happier after consuming his “spinach”.